Product Description: “Our fudge is made with all natural, fresh ingredients like Callebaut Belgian dark chocolate, Cabot butter, pure honey, and cane sugar – you won’t find any corn syrup, preservatives, artificial flavors or colors in there! We follow our family’s traditional Scottish recipe that calls for just the right amount of sweetness and gives our fudge an incredibly pleasing texture and density. 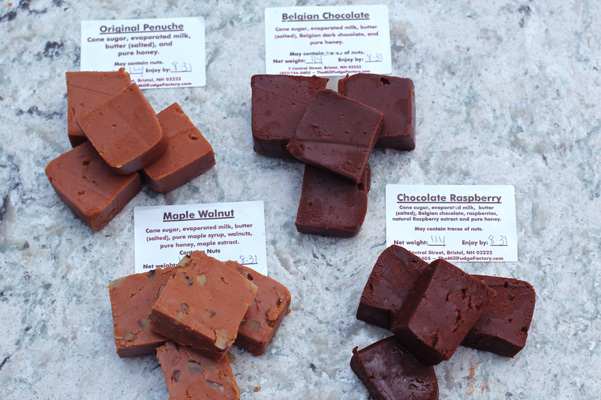 The Mill Fudge Factory also offer flavors such as Chocolate Mint, Chocolate Peanut Butter, Pure New Hampshire Maple, Scotch Whiskey, Eggnog, Pumpkin Pie and more. The company is located in the Lakes Region of New Hampshire is a historic 1700’s grist mill overlooking the Newfound River. They are family-owned and operated, making fudge and ice cream since 2006. Their mission is simple: “to make people happy”. Original Penuche: Cane Sugar, Evaporated Milk, Butter (salted), and Pure Honey. Belgian Chocolate: Cane Sugar, Evaporated Milk, Butter (salted), Belgian Dark Chocolate and Pure Honey. 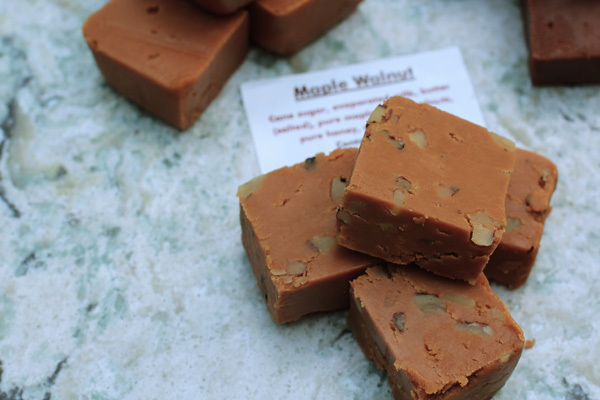 Maple Walnut: Cane Sugar, Evaporated Milk, Butter (salted), Pure Maple Syrup, Walnuts, Pure Honey and Maple Extract. Chocolate Raspberry: Cane Sugar, Evaporated Milk, Butter (salted), Belgian Dark Chocolate, Raspberries, Natural Raspberry Extract and Pure Honey. Test Kitchen Overview: An email was sent to the Test Kitchen describing this fudge. We almost overlooked it, but the fact that it was deemed as all natural ingredients had us intrigued, so we asked for samples for review. We were sent four flavors, as listed above. They were very simply wrapped in plastic wrap with a paper label, which were then placed in a brown presentation box. We liked the fact that there are not overly packaged. It made us think of stepping up to an old-fashioned candy store counter and choosing the fudge ourselves, cut and packed to order. We tasted the Original Penuche first and were immediately met with a strong honey flavor, which we didn’t expect (as we hadn’t yet read the label). The texture was super smooth and the density was very nice – providing a little bit of chew and resistance, while still being quite silky smooth. Overall we liked the honey in this flavor, which was also redolent of caramelized sugar. The Belgian Chocolate was next and while the chocolate was deep and rich and the texture similarly smooth, the flavor of honey was a distraction for us from the chocolate, as it was in the Chocolate Raspberry flavor. It harmonized well with the Maple Walnut. Pros: Perfectly smooth texture. If you like honey as a flavor, you will love this fudge. Making fudge from scratch can be problematic if you are not familiar with candy making. 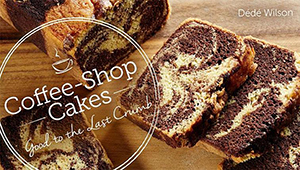 Mill Fudge Factory offers classic as well as seasonal flavors from which to choose. Cons: There is a dominant honey flavor. We liked it in the Original Penuche, but in the Chocolate Raspberry, for instance, we felt it detracted. 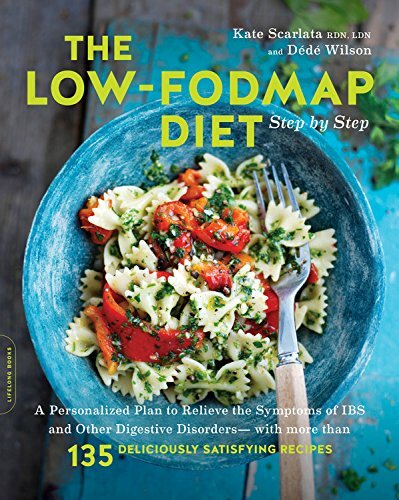 Suggested Use: As a treat or host/hostess gift. Great for holiday gift giving. 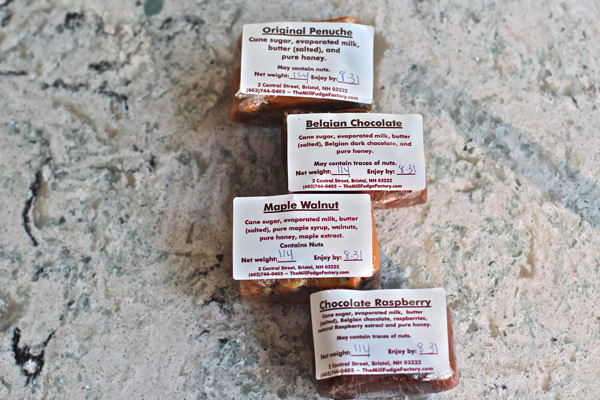 Where to Buy: Through Mill Fudge Factory directly and throughout New England in select Whole Foods and other stores. Use the store locator on the Mill Fudge factory site.